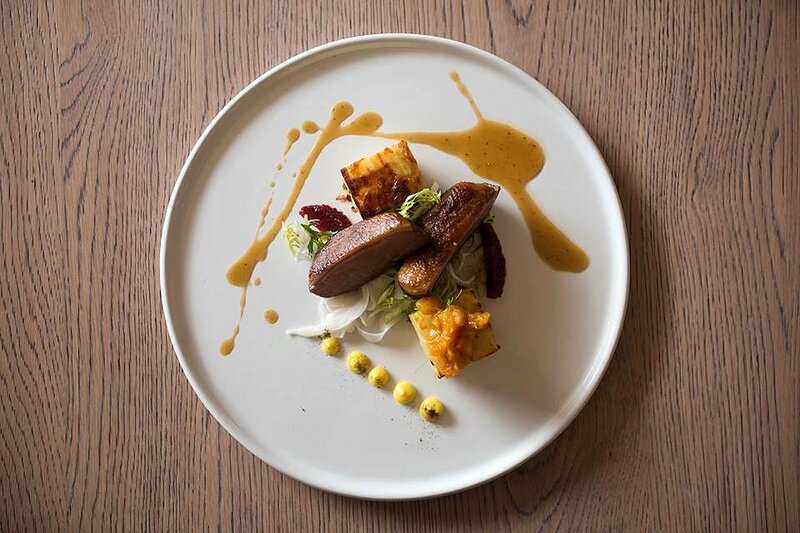 Nestled in the beautiful suburb of Stirling is The Stirling Hotel, which boasts picturesque views of the hills, alongside a slightly cooler atmosphere, and a classy, casual take on fine dining and wining. 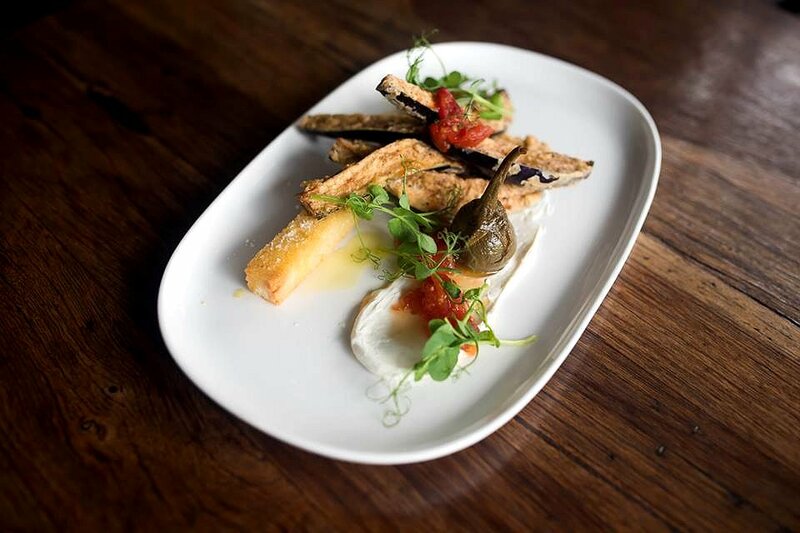 The Stirling Hotel is very inviting, with leafy and green surroundings in all corners, and the staff who work there are so passionate about their make and produce that you can’t help but go with the flow and sample what they have on offer! The team at Adelaide Food Central was invited to spend “An Afternoon of Winter Fun” at The Stirling Hotel, where we sampled some of the most delicious selections from their various menus. Starting off at the Gin Club, we were treated to a Gin on the Rocks with peppercorn, which tasted sweet and strong enough to please the gin lover in me. The social ambience surrounding us helped me find a newfound appreciation for one of the greatest alcohols out there. 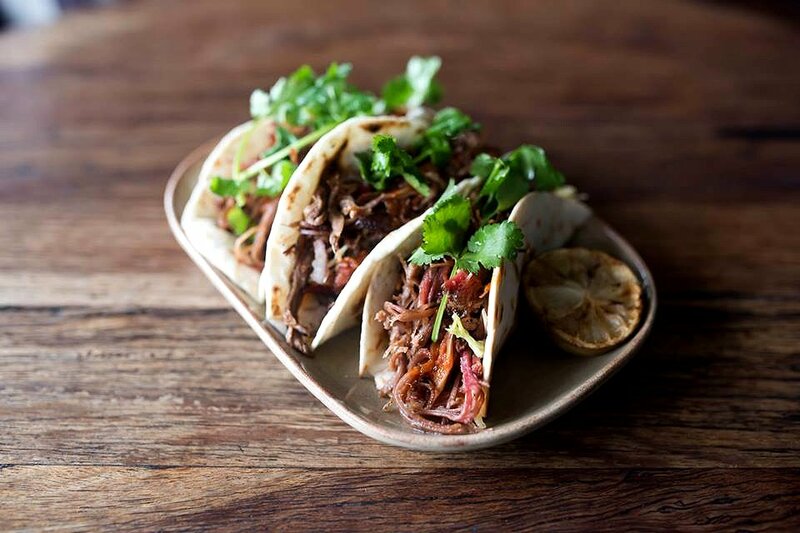 We sampled the Miso Brisket Taco with pulled beef, Mexican slaw, and sriracha lime dressing. Like most normal people, I love tacos! Unlike most tacos that I normally feast on, this one had no cheese. But, that didn’t stop this dish from being pure enjoyment in a bite! The meat was perfectly cooked and presented with tender and juicy flavours. The lime dressing was subtle and complemented with the seasoning on the meat and the slaw. Next, we had the Salt and Pepper Japanese Eggplant with tomato chilli relish and whipped feta. The eggplant was cooked well to present with a soft (but not mushy) texture. Combined with the relish and feta, it was a winning combination. We were then served the Texas Chilli, which was my personal favourite. 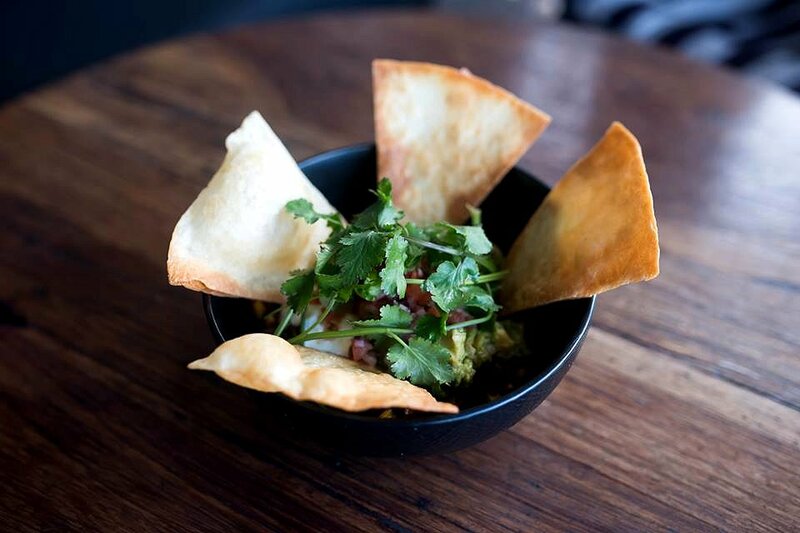 Bursting with flavours from the beef, the pork, the black beans, corn, guacamole, tomato salsa, sour cream, and crispy tortilla, I felt like this dish was the fancy version of traditional nachos. When I bit into it, I thought everything would fall off effortlessly, but, surprisingly enough, all the ingredients stay put, and every crunchy bite was like a slice of heaven! We were then taken to the Grill restaurant, where we were treated to Head Chef Brendan Boothroyd’s wonderful culinary creations. 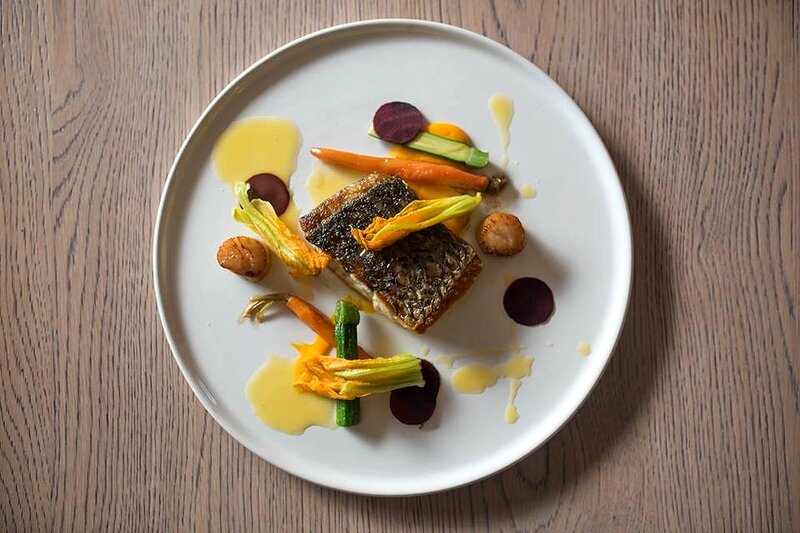 We sampled the Barramundi with maple, carrot, beetroot, scallop, and beurre blanc. This was such a colourful dish, I was almost too scared to break into it and ruin the perfect presentation! The barramundi was cooked to effortlessly melt off, one piece at a time. The meat was super tender and tasted scrumptious when coupled with the rest of the ingredients set on the plate. We then tried the Tea Smoked Duck with Jerusalem artichoke, corn, orange, endive, and fennel. The duck may not have had a crackling to the meat, and the meat itself may have been a bit too pink for my liking, but it was still enjoyable to have, especially when combined with the vegetables on the side. Next, we were served with Beef Cheek with yellow polenta, celeriac, 62-degree egg, and squid ink. Now, I was initially a bit sceptical about biting into this, because the meat looked charred to a crisp. However, breaking into the meat was possibly a wonderful feeling, because the beef was slow braised to the perfect tender substance that it ended up being. 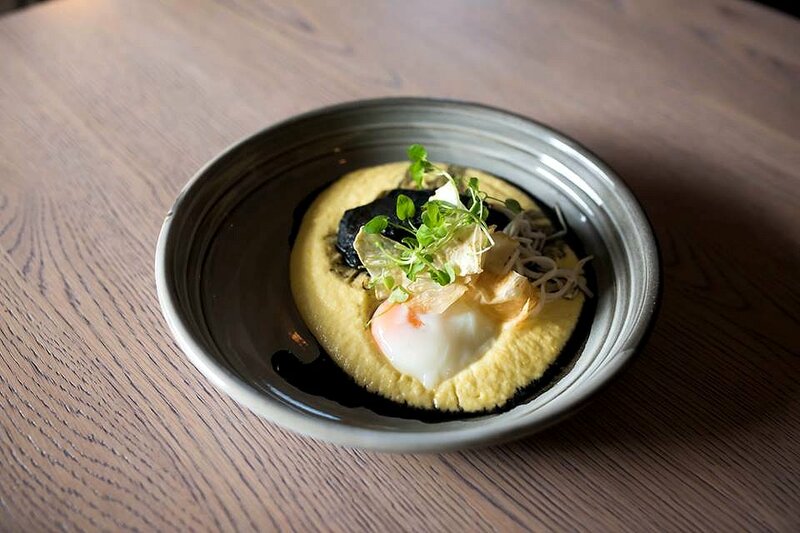 The egg cooked at 62 degrees practically melted over the meat and the polenta, giving it a tasty glaze. After our epic dining, we were then taken to the dessert sector by IGA opposite the hotel, where we were treated to some delicious, sweet pastries – including an apple crumble, a self-indulgent chocolate brownie that was the size of my face (win! 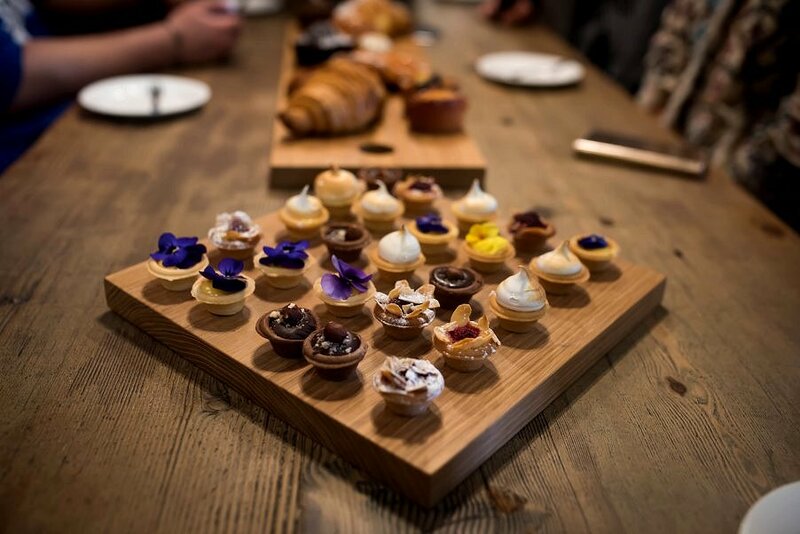 ), and a bunch of bite-sized delights with custard, lemon flavouring, edible flowers, and chocolate. We could not have ended our afternoon on a sweeter and more pleasant note! Special thanks to The Stirling Hotel for being incredibly hospitable and taking us on an amazing journey through their establishment. The whole experience was comprehensive and the knowledge of what was being served was impeccable. Not only was the food beautifully presented, it was delicious, and we applaud them for giving our palates an experience we will never forget.